Every time that Eric Ho, a 3D artist and social media marketing expert who is based in New York City, present his 3D designs, it is expected that it has something to do with an adorable type of dog. This 3D print artist had presented a 3D printed Corgi bottle opener last year that looks like a keychain. This became a famous addition in Raw Legends Collaboration, which is the storefront of Shapeways. You can also find collaborative projects in his store as he continuously works with some of the great artists and designers that can help him transform his works into extraordinary and charming creatures. He had tried creating a 3D printed version of Sophie Corrigan’s work that transforms into a Pug with a potato that he called Pugtato. It only means that he is capable of transforming cute dogs into creatures that will definitely surprise you. This is what he did when he had worked with a 3D artist from the UK named Matt Bagshaw. 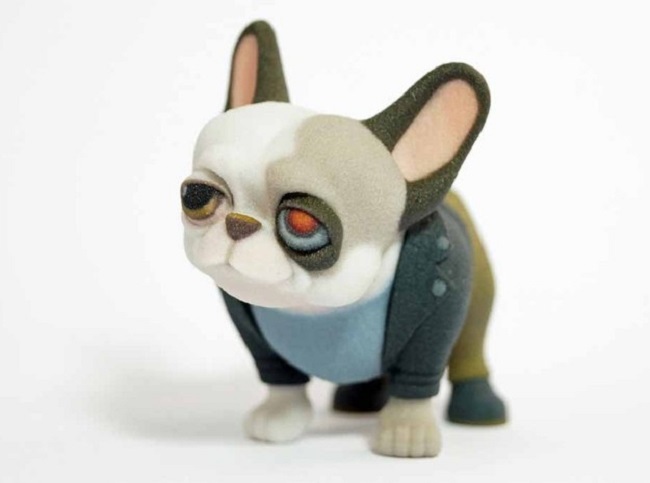 They have created a set of 3D printed French Bulldogs that you can see in Ho’s store the Raw Legend’s Collaboration. Bagshaw already has more than 20 years of experience in animation and also in creating commercial characters. He had been producing 3D printed characters for more than two years. 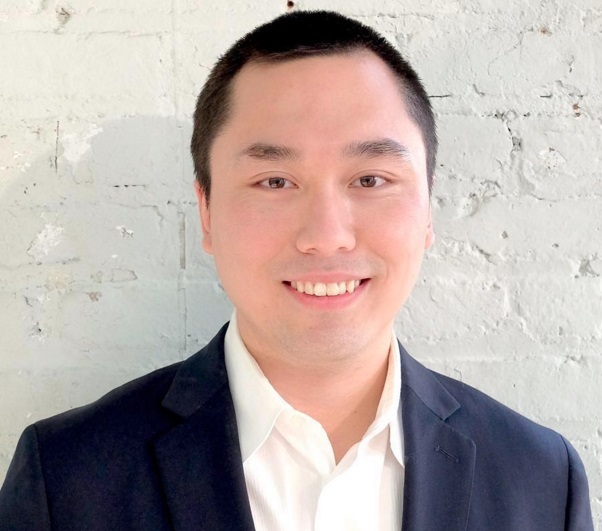 Ho worked at Shapeways as the former social media strategist for him to collaborate with other popular artists in 3D printing and design. Ho had given names to his Bulldog collections that include Frenchie Hulk, Mr. T Frenchie, He-Man Frenchie, Frenchie Balboa, Rambo Frenchie, Frenchienator, Frenchie the Barbarian, and Frenchie Hogan. 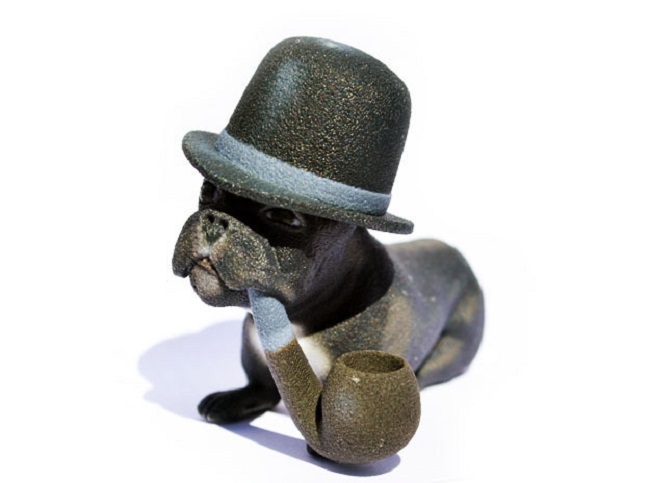 The cosplaying figurines of French bulldogs are made up of color sandstone that was carefully detailed. This will surely amaze those people who are fascinated with dogs because it signifies their love to both action movies and dogs at the same time. 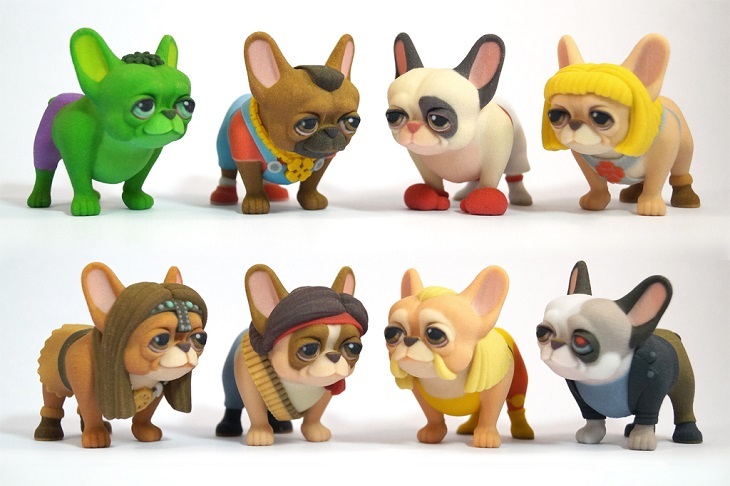 Each dog has their own personality wherein Ho created Mr. T Frenchie because of being an A-Team fan when he was still young. If you are interested in having these cosplaying Bulldogs, then you will have to pay for $25 if you want the full-color sandstone. On the other hand, if you want fully coated color sandstone that is perfectly polished then you can have it for $30. These 3D printed French Bulldogs is not the first time that Ho works on this type of dog because he had already created different objects related to bull dogs such as the Bull Dog Buddha, Minion Frenchies, iPad holder, and a whole lot more. He came up with the idea of creating cosplaying bulldogs at the end of 2015 when he was exploring a Corgi breed. He presented various figurines like Corgi Potter, Thorgi, Corgi of the Opera, and other figurines that you’ve never seen before. Ho had been working with the famous 3D artists and designers that were featured in his store, which is Shapeways, like Coretta Singer, Vitaliy Burov, Kostika Spaho, Andrew Thomas, and Manuel Poehlau. Knowing that Ho is behind the operation of Shapeways, he is, therefore capable of capitalizing high quality services for printing as well as develop its consumer base. 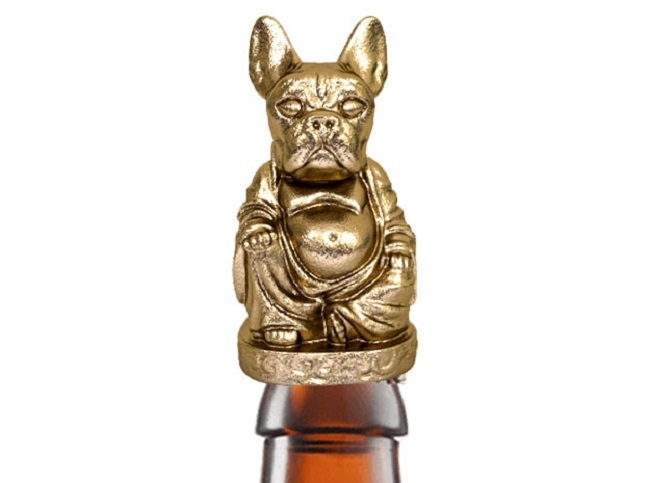 Though you will notice that most of Ho’s works are connected to bull dogs, he also made other creatures like jewelry, accessories, and bottle openers.